Discussion in 'Health and Quackery' started by FuzzyUK, Jan 13, 2014. Perhaps the header is an exaggeration but the following article suggests their is a big problem in that DNA from genetically modified crops can hop over to humans. So how serious a problem is it since even a non-genetically modified vegetable might transfer some unwanted traits? 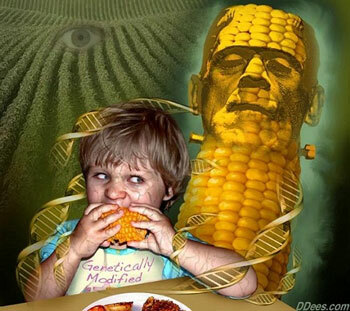 Not sure what the point is - the headline reads "Confirmed: DNA From Genetically Modified Crops Can Be Transferred Into Humans Who Eat Them" - well....yeah...you eat a plant het DNA goes inside you....and?? so what they are saying is that bits of DNA can get into eth blood stream that are bigger than was previously thought possible, but they don't know why or how. Presumably this has actually been happening forever, so as you say, we haven't turned into non GMO plants despite having been eating them for 100,000 years - I cant' see much changing in that respect any time soon - even on a geological scale!! If you read the comments section of the article you will see that a number of people take the article apart. Despite the author's protest it is clear that he was disingenuous in his representation of the information in the reports and the significance of the information he chose to build his article around. I bred and showed Irish Setters for years, I am sure I ate quite a few dog hairs. How long does it take for the DNA to 'take hold' so I can have dark red, silky wavy hair? Do you have access to polyjuice potion? That should shave some time off the transformation. Well, there are "couch potatoes".